Jurassic World: Fallen Kingdom will be in theaters on June 22, 2018. Jurassic Park wouldn't have been much of a novel/movie if the dinosaurs had stayed safely in their enclosures, the guests remaining in their vehicles completely unscathed. Jurassic Park Evolution features the voices of actors from Jurassic World and the upcoming Jurassic World: Fallen Kingdom, including Jeff Goldblum as Dr. Ian Malcom, Bryce Dallas Howard as Claire Dearing, and D. Wong as Dr. Henry Wu. Arriving on the unstable island as lava begins raining down, their expedition uncovers a conspiracy that could return our entire planet to a perilous order not seen since prehistoric times. 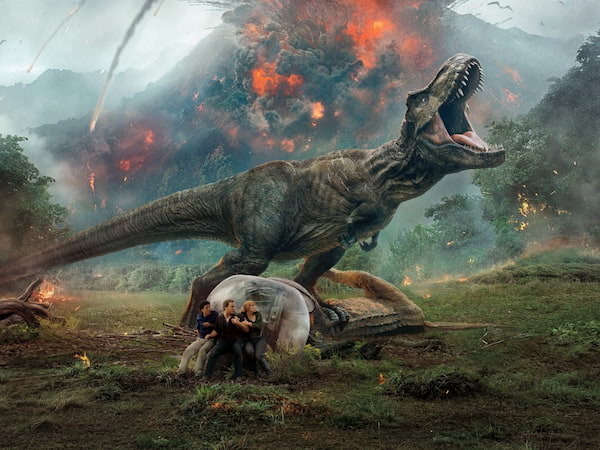 In the latest episode of Kieran's Movie Space, Kieran discusses and reviews the latest dinosaur-filled extravaganza, Jurassic World: Fallen Kingdom.